Whether or not you are a fan of Canada’s Arcade Fire their new interactive video is definitely worth a look. It combines new ways of integrating the music, video, animation and shots from Google Earth and street views to immerse you in the video. Just go to: http://www.thewildernessdowntown.com/ and type in the name of your home town or anywhere else you feel nostalgic about and the video will have you running down your home town streets before you know it. And they even ask you what advice you wished you could give your younger self back then and write it on a postcard – which they may then use in their media or concerts. Updated 14 February 2011: Surprise Grammy award winners 2011 for Best Album “The Suburbs” after missing out on best alternative band. 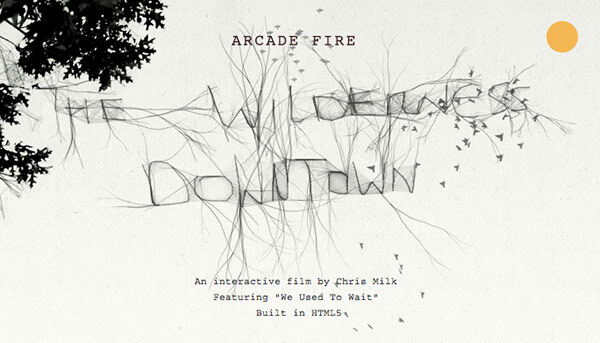 Categories: Happiness, Lifestyle, Music, Recreation | Tags: Arcade Fire, Google Earth, Grammy, interactive media, music, Wilderness downtown | Permalink. For those who just want blowing away then try “Intervention” from their Neon Bible album…………….the opening organ introduction will make your hair stand on end and then perhaps conclude with “No Cars Go” An album that is worth visiting on a regular basis.